One of the most important Landmark in Benglauru or Bangalore city is Chinnaswamy Stadium which has great collection of history in it. 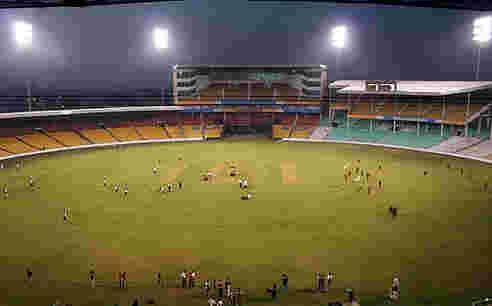 Chinnaswamy Stadium has always been a part of all important tournaments and Domestic matches held in India. Be it World Cup, Ranji Trophy and Home Series. Chinnaswamy entered the Test stadium status in 1974. We have unforgettable memories and players to be remembered while they played for their respective country.